Presenters at the training included the Deputy Director of the Ministry of Health’s Republican Center for Health Promotion (RCHP), SPRING’s Deputy Director, an international consultant on campaign branding, and a professor of the National Center for Childhood and Maternity Protection, who provided members of the media with a better understanding of what causes malnutrition and why the “1,000 days window of opportunity” is so important. 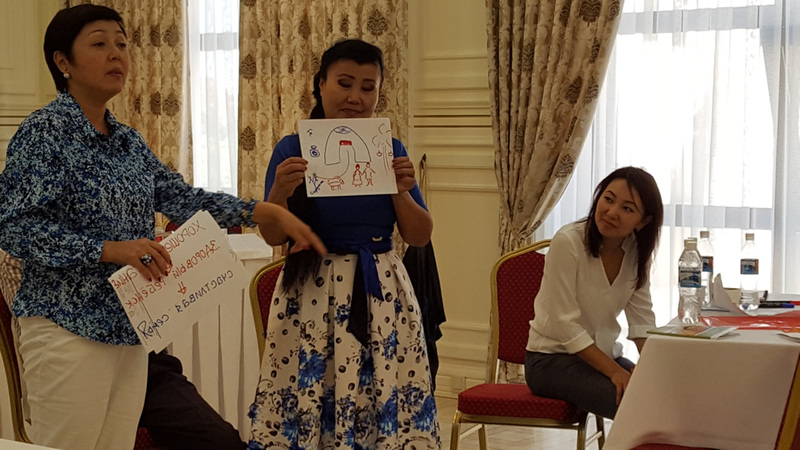 Media participants learned about key messages related to optimal breastfeeding, appropriate complementary feeding, dietary diversity, and reduced consumption of junk food, which are all critical to improve nutrition outcomes in the Kyrgyz Republic. 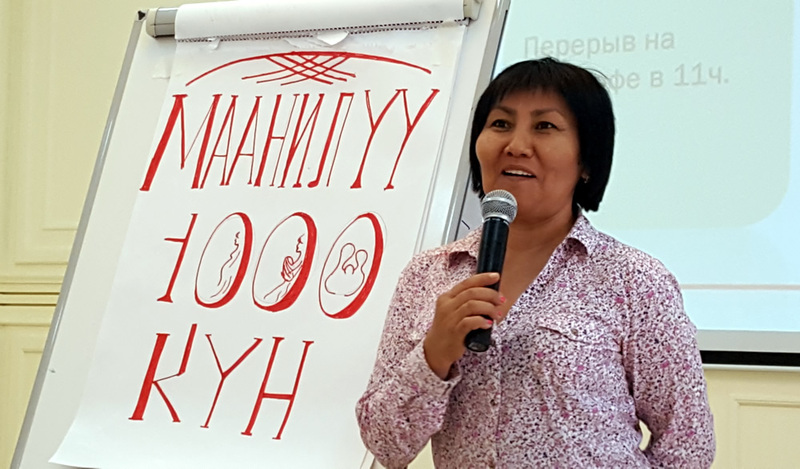 In addition, presenters used results of the 2012 Demographic and Health Survey to demonstrate the current situation of stunting and anemia among children and women of reproductive age in the Kyrgyz Republic and to help the media better identify the “1,000 days” target audience. 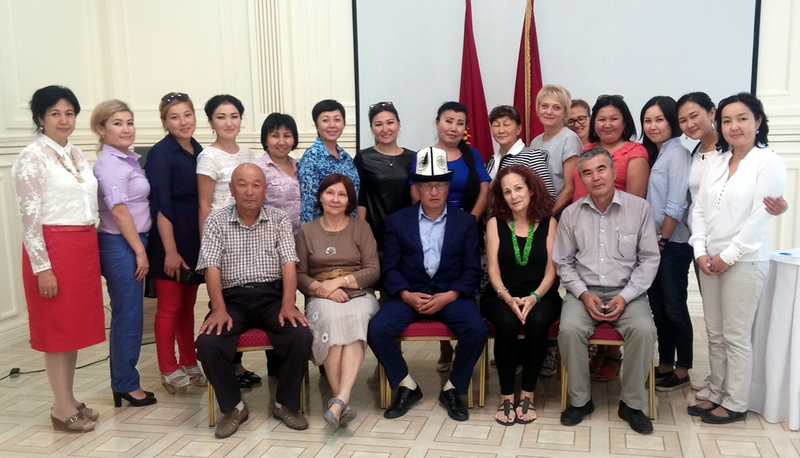 The September event also launched the 1,000 Days Window of Opportunity campaign in the Kyrgyz Republic. The launch featured a presentation of the campaign logo and a mock press conference to give the participants from the media an opportunity to pose questions to a panel of nutrition experts and community members. An expert panel explained community-based approaches to improve community knowledge and behaviors, and community workers shared success stories to demonstrate positive nutrition behavior changes in the areas where SPRING works. Media representatives then brainstormed story ideas, headlines for articles, and ideas for TV and radio programs and community/facility-based events. The Media and Messenger Training highlighted the important role for mass media in effectively delivering key nutrition messages and information to target audiences within the “1,000 days” window. 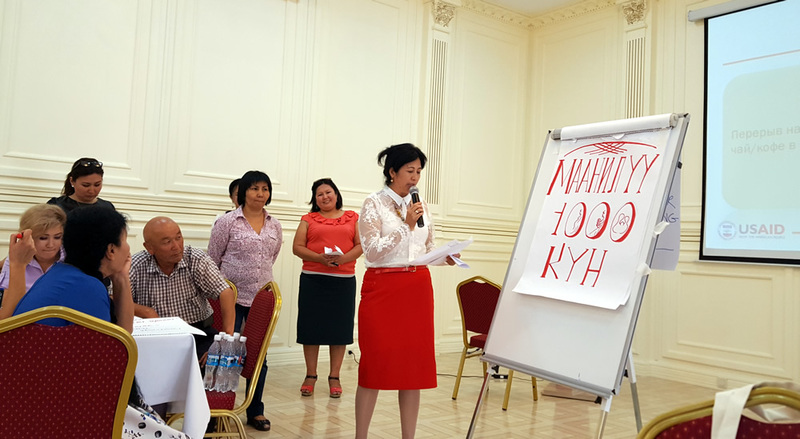 At the close of the event, each participant committed to cover “1,000 days” topics and thereby contribute to improving the nutritional status of children and women in the Kyrgyz Republic. RCHP and SPRING shared the remaining activities planned under the 1,000 Days Window of Opportunity campaign and also committed to continued engagement with media in the campaign.